Nissan just made waves with their latest announcement about their Zero Emissions On Demand Race Car (ZEOD RC) that will be racing in this year’s 24 hours of Le Mans from the Garage 56 Technical Exhibition spot. When the car was first announced, Nissan wanted to make it a pure electric car and we took a look at the energy storage and recovery technologies that would be necessary to make that a possibility. Later during Chapter 1 of the build, Nissan had made the decision to make the car a hybrid with undisclosed powertrain details. Here is Chapter 2 of the ZEOD RC build that talks about nothing but the engine that will power the car. The new plan is to have the car run 11-12 lap stints around the Circuit de la Sarthe with one of those laps being done on pure electric power. The rest of the laps will be powered by a 1.5 liter, 3 cylinder engine which cranks out 400 horsepower and 280 foot-pounds of torque despite the short block weighing only 88 pounds. 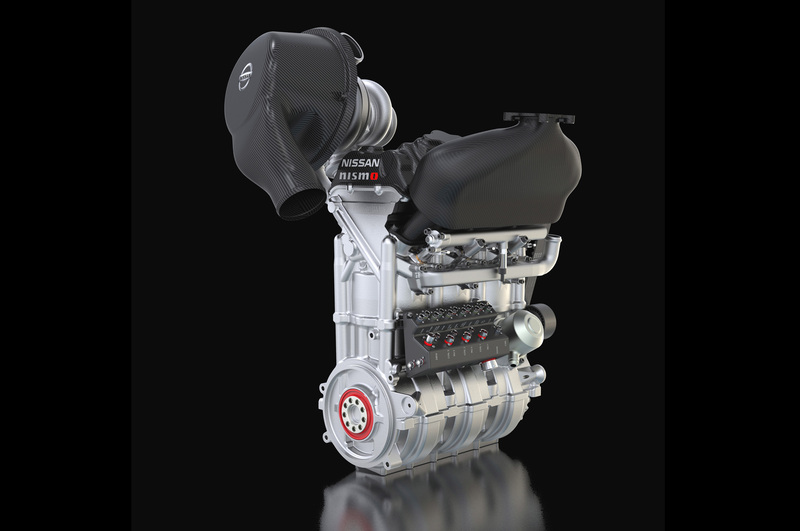 It seems that 2014 will be the year that many automakers and even some motorcycle companies start offering small displacement 3-cylinder engines. The engineers have come up with good solutions to balance the vibration of firing four strokes of combustion on three cylinders. More importantly, turbocharging, variable valve timing and direct injection have finally come far enough to get real world usable power out of these small engines.